Home improvement doesn’t only include your house. For many Connecticut home owners, having a beautiful, manicured lawn gives you the curb appeal that everyone desires. Getting your lawn into tip-top shape for summer means you’ll have the perfect setting for a family picnic or for the kids to get out and play. Getting this pristine yard is where the question ultimately lies. Which is better Sod or Seed? Sod can be a great option to create a lush and quick option to get your yard ready for the outdoor season. Grass seed takes a greater amount of time, as it needs to grow, whereas sod will give you a finished lawn at once. A sod lawn might be a little bit of an investment at the start, but actually saves you money in the long run. With the sod lawn, you get it all at once as compared to grass seed that requires time and money for weeding, pest control, and even extra fertilization. With sod from a reliable sod farm, you will get a much denser lawn than with seed. Since the grass is closer together you’ll experience less bare spots and won’t need to reseed, unlike when you use grass seed for your lawn. As a result of it being grown professionally, a sod lawn is healthier. With it enjoying the best soil, generous watering for strong roots and regular fertilization, a sod lawn ends up with a strong foundation that is good and maintains the beauty for many years. Prevent soil erosion, weeds and pests with a sod yard. With sod, it is grown professionally with no weeds for you to keep. More so, its density discourages weed to grow in, hence minimizing the need for using herbicides in the future. Ultimately, the choice of whether to sod or seed your lawn is yours. But know that if you want a lawn that is beautiful right away instead of waiting for years, sod will be the right choice for you. 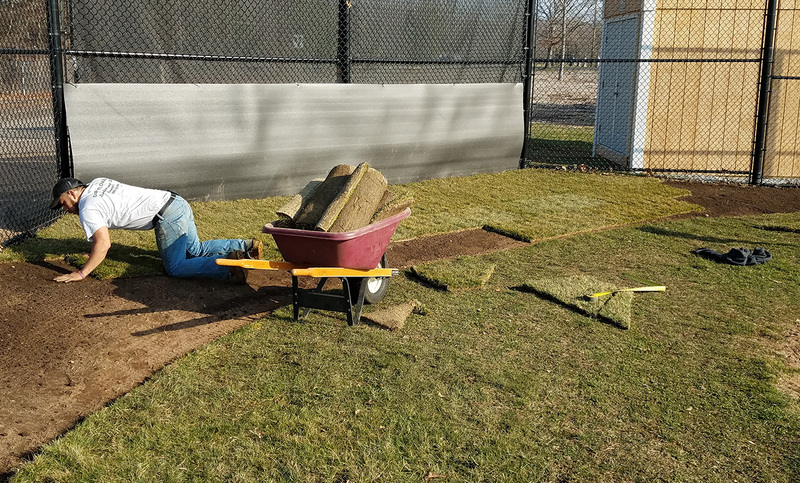 Our representatives can help you find the sod or turfgrass product that is right for your lawn, and even help you install it as we are a licensed and insured sod instillation contractor. Contact us today for more information.